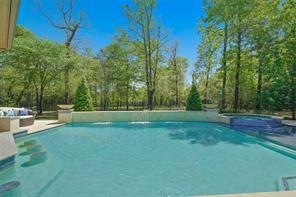 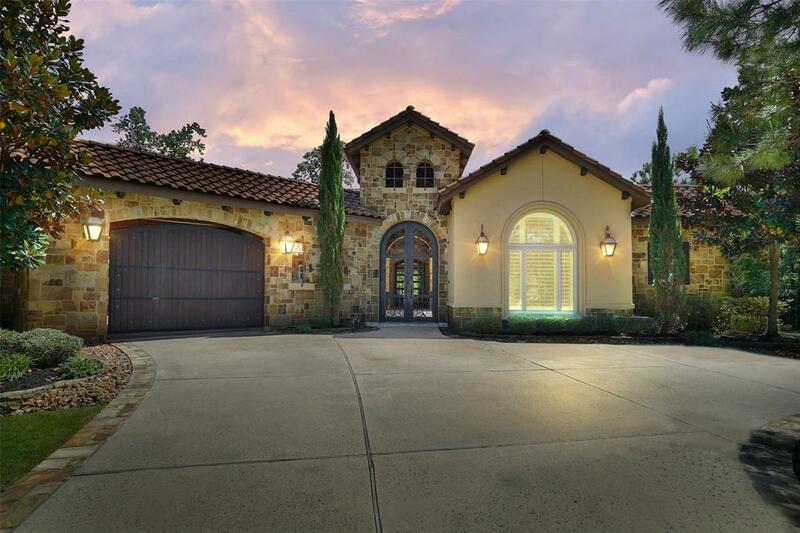 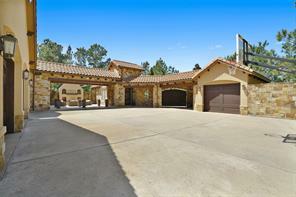 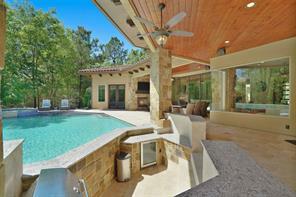 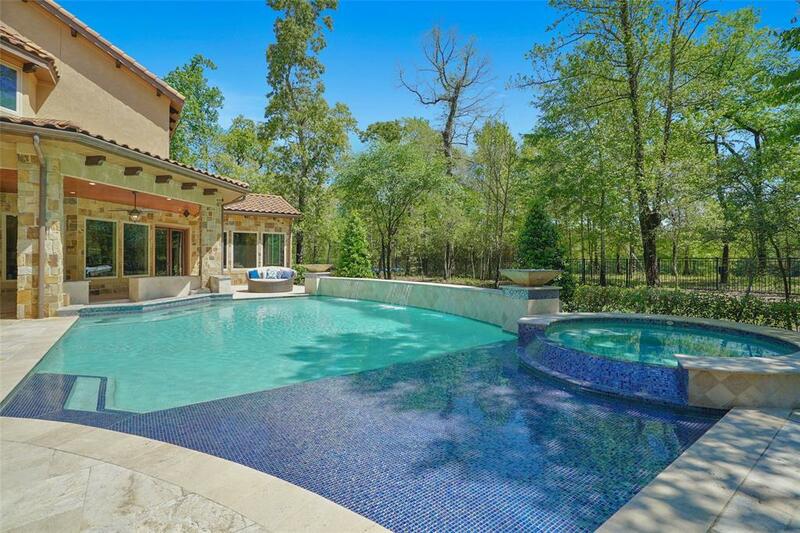 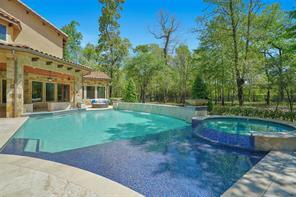 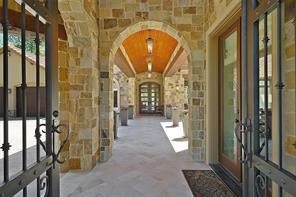 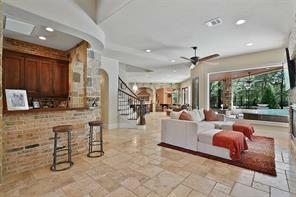 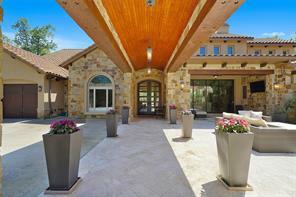 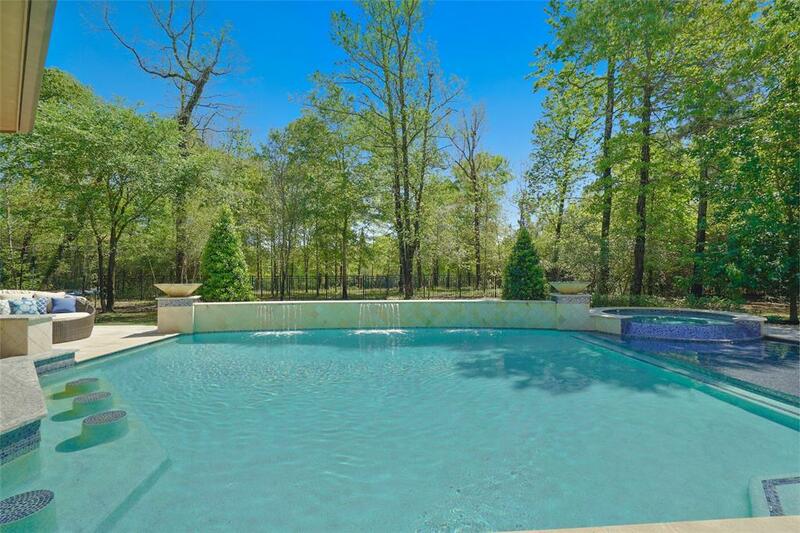 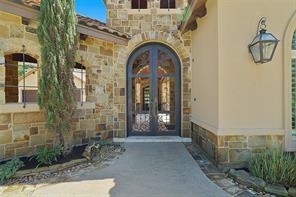 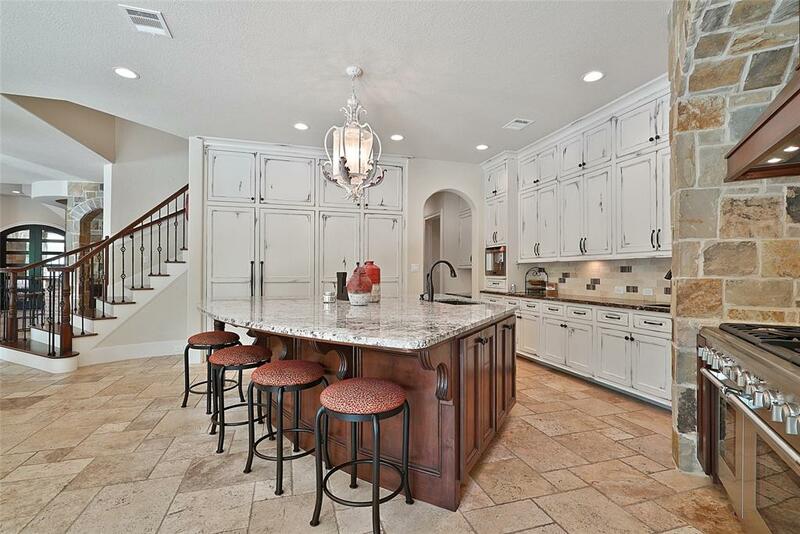 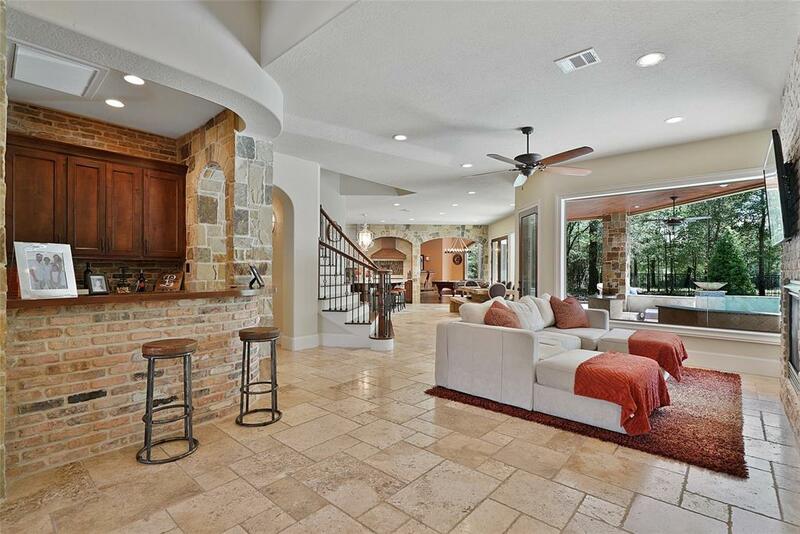 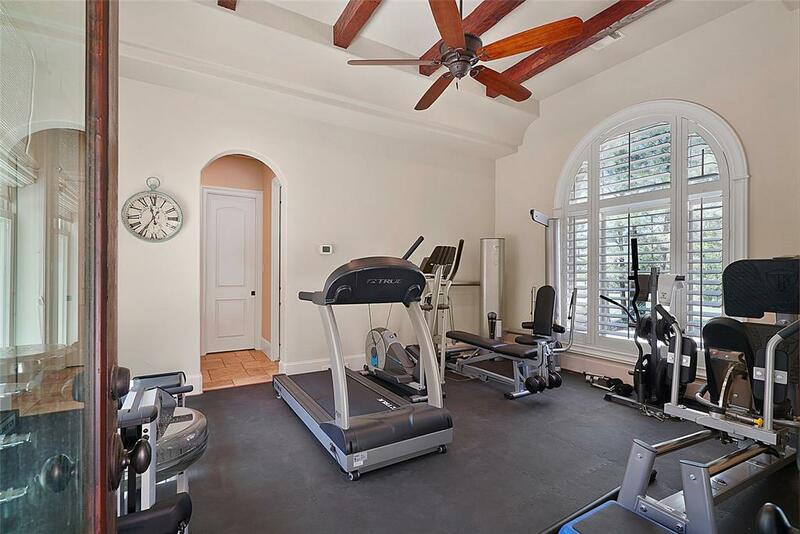 Prestigious Gated Community of Eagle Pointe in Woodforest. 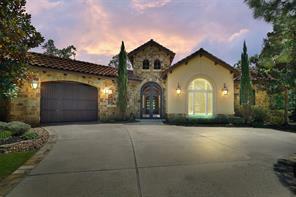 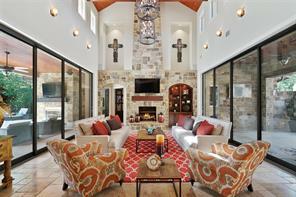 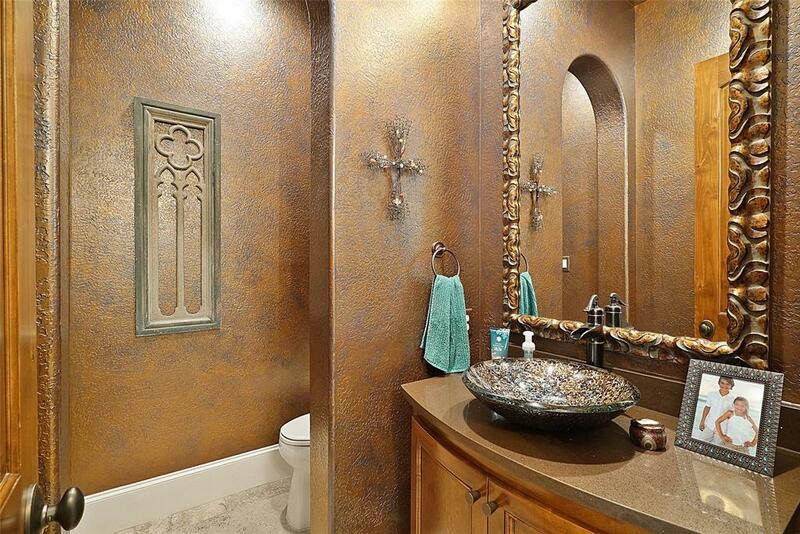 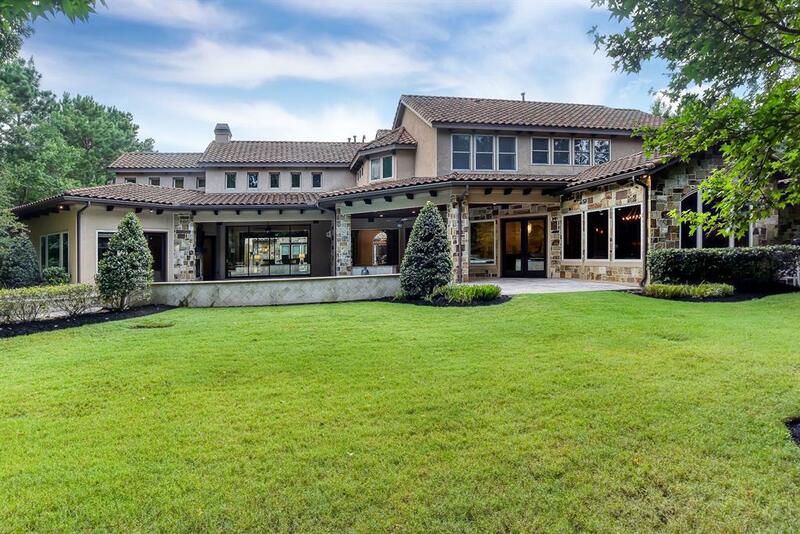 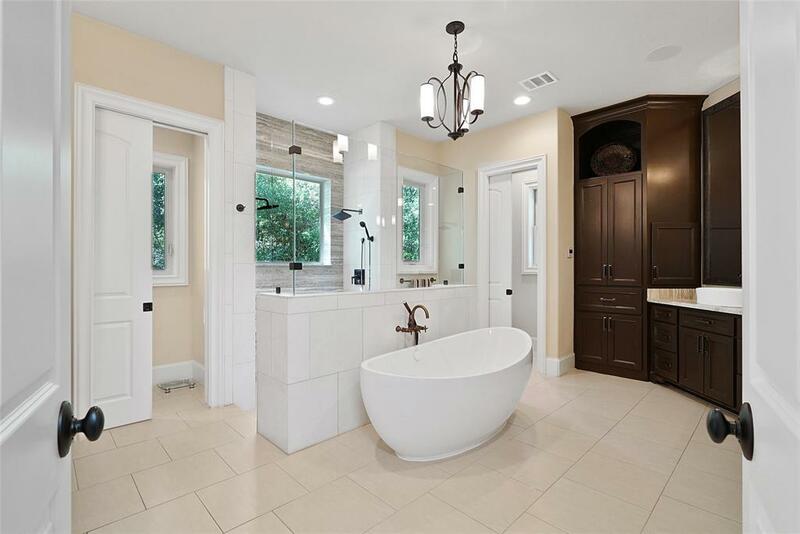 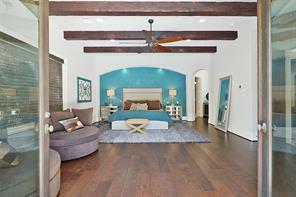 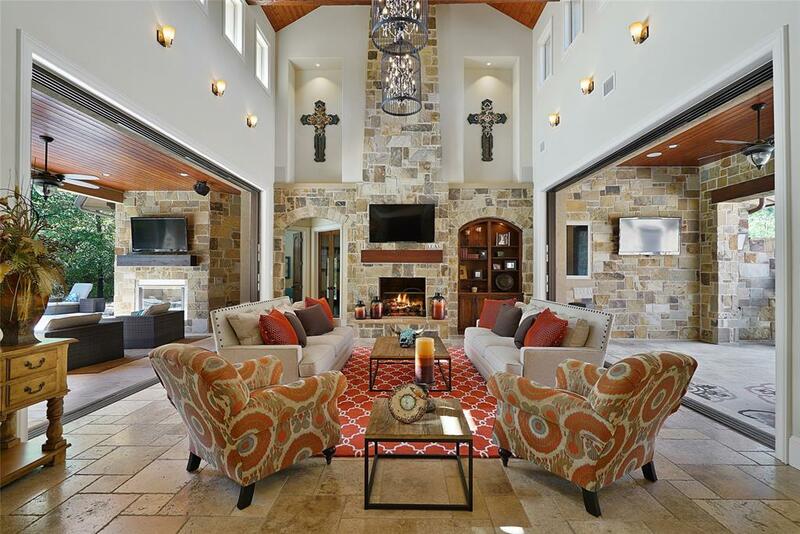 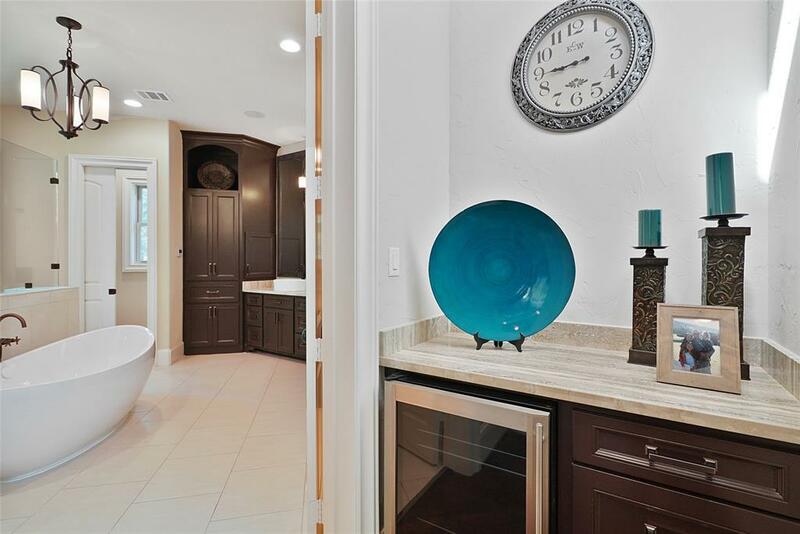 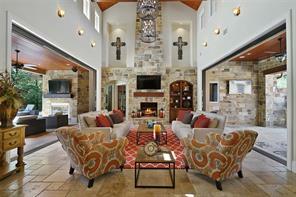 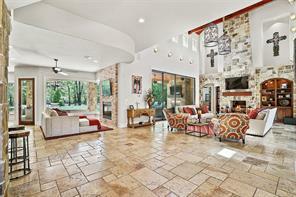 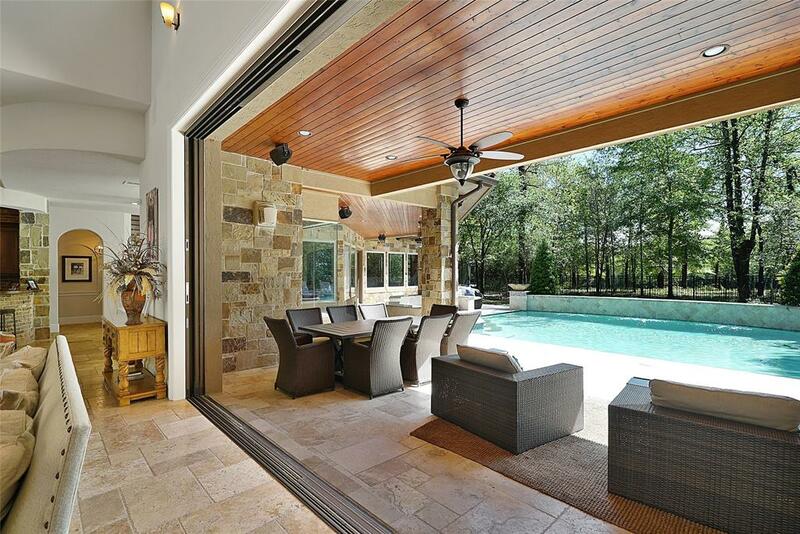 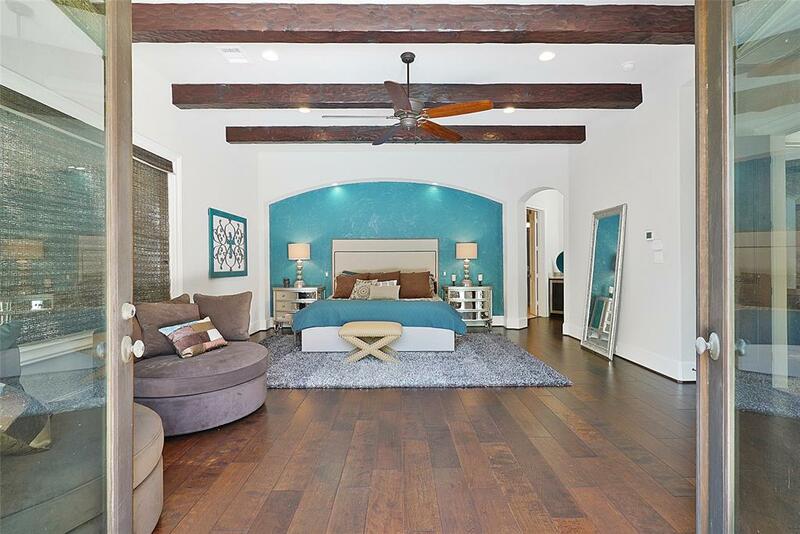 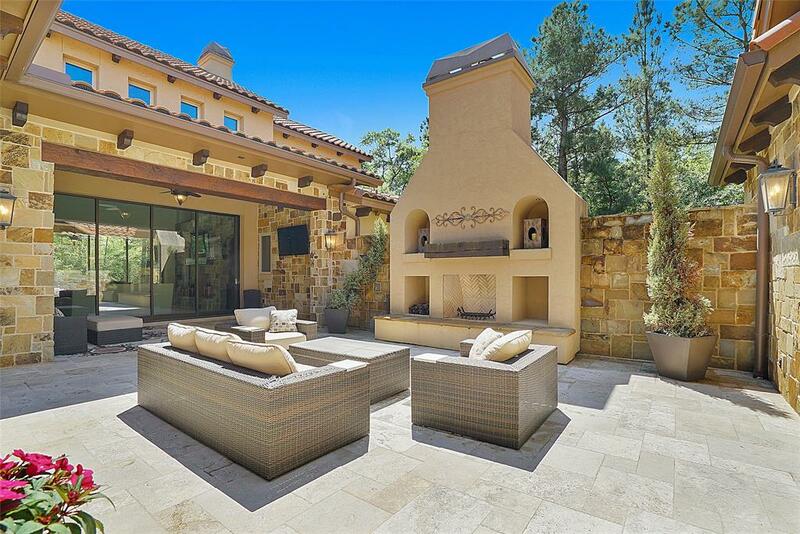 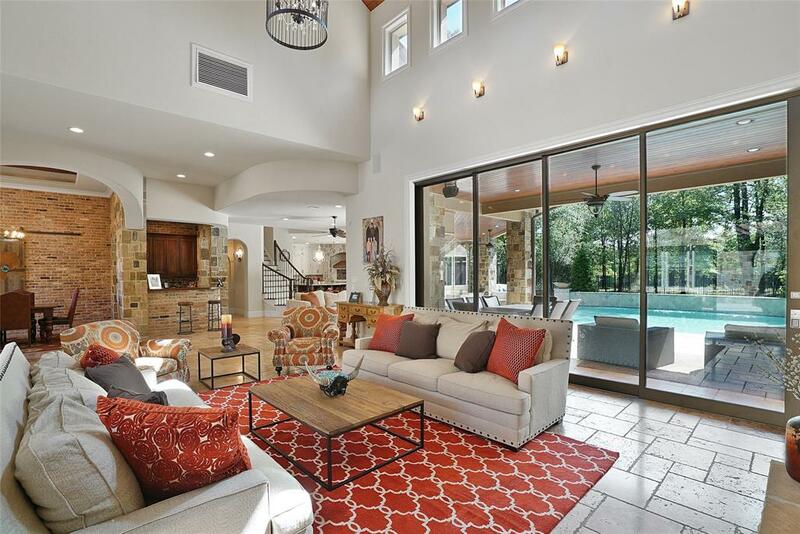 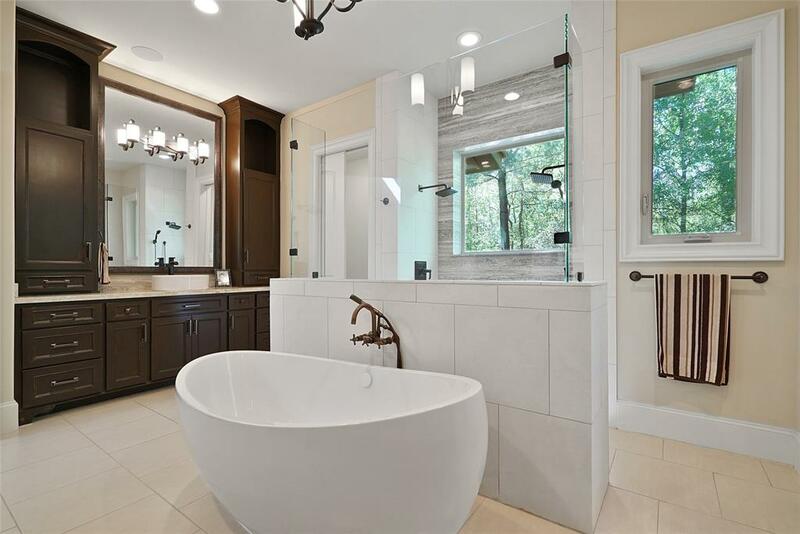 Beautiful Sullivan Custom Home offering a blend of luxury, comfort and custom details. 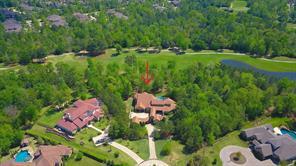 Private 1+ac lot backs to the 11th fairway of Woodforest Golf Club. 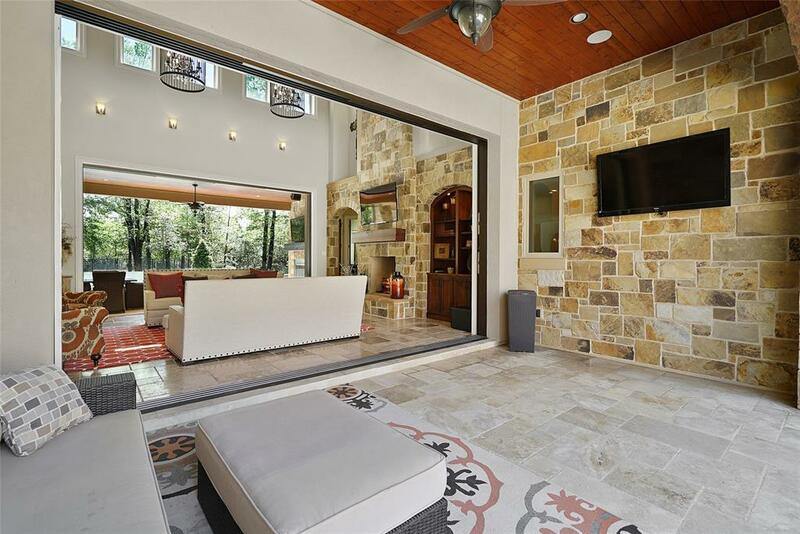 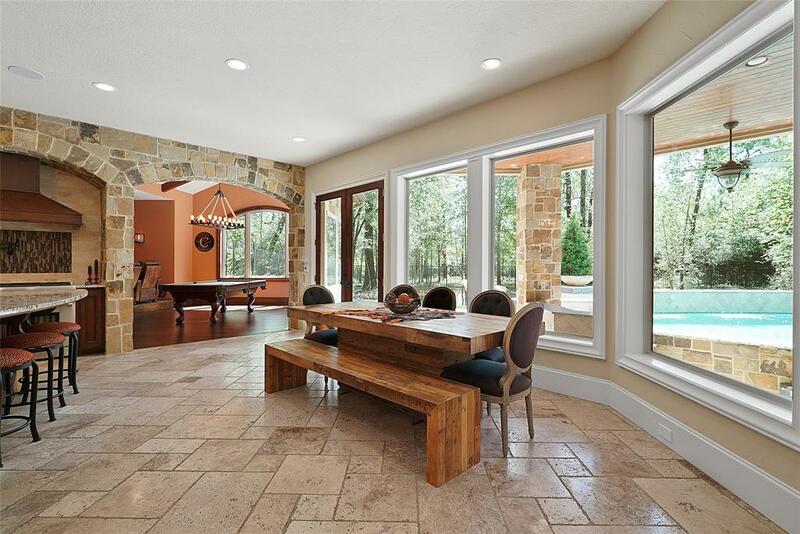 Expansive living spaces & natural finishes create an ideal home for entertaining, with "vanishing" walls in the main living area, bringing the outdoors in. 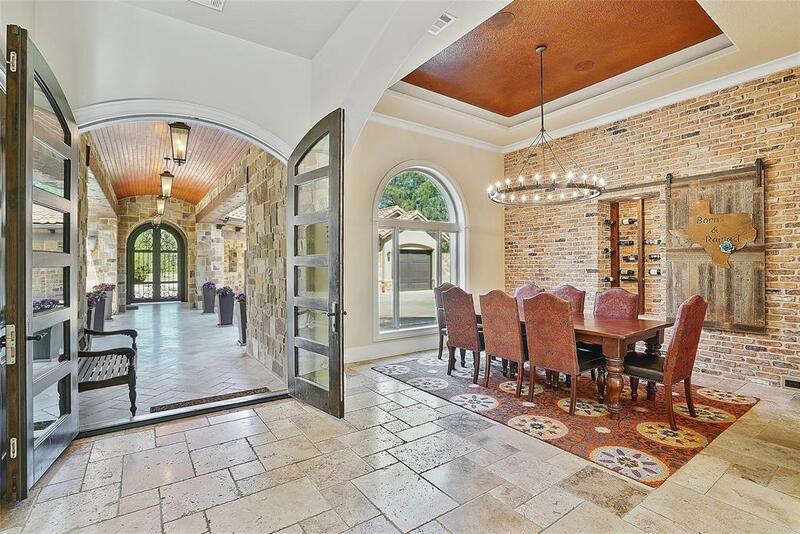 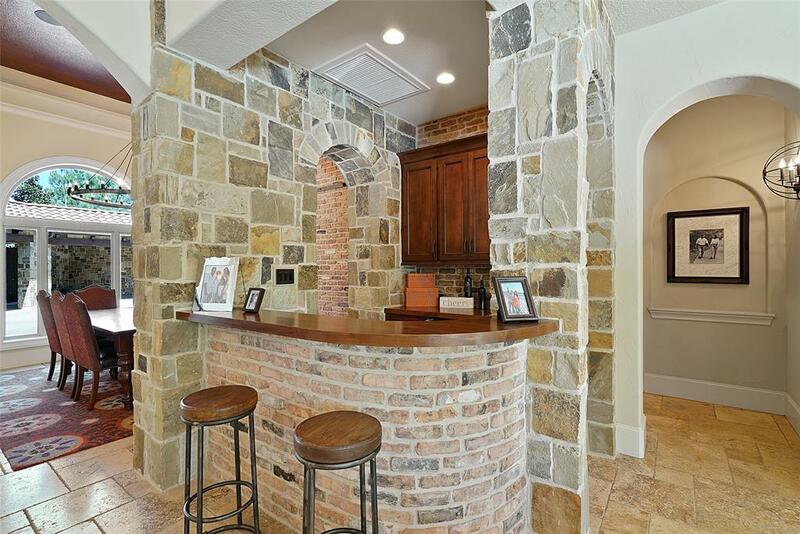 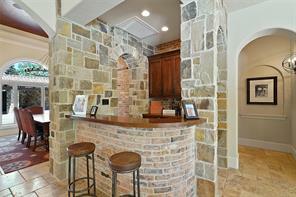 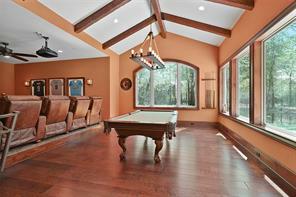 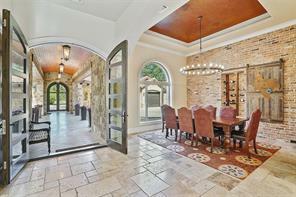 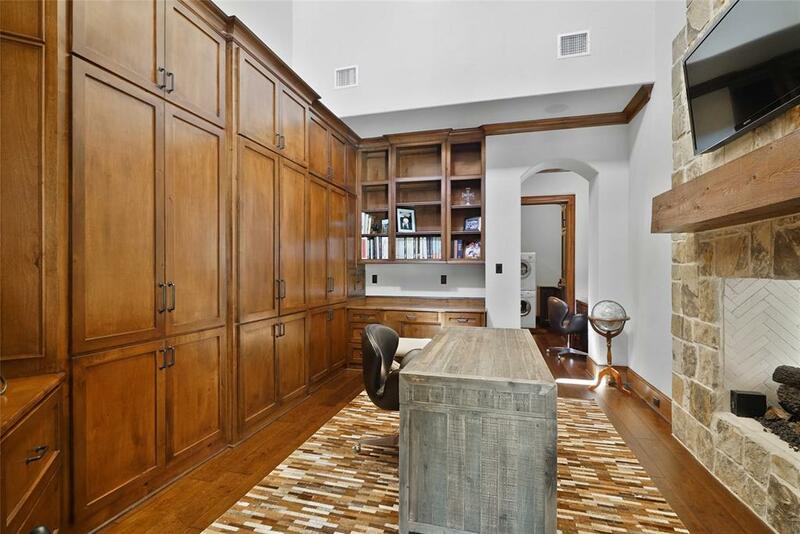 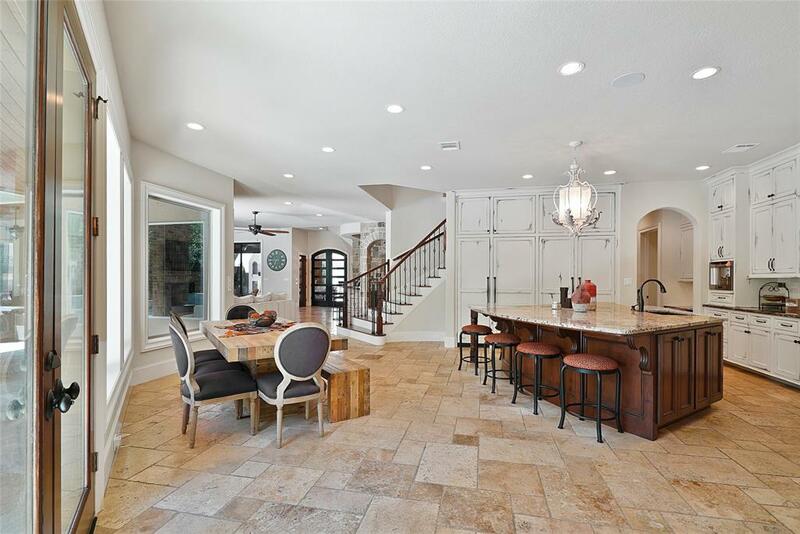 Formal dining room w/custom wine storage, adjacent to custom bar with wine fridge. 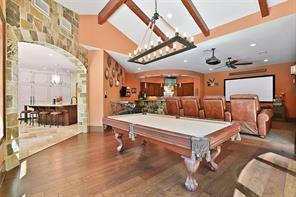 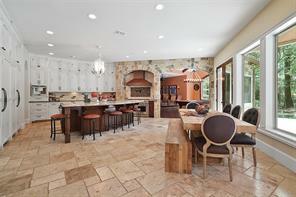 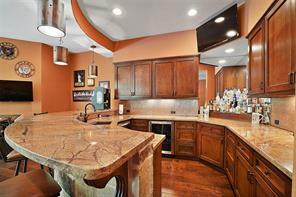 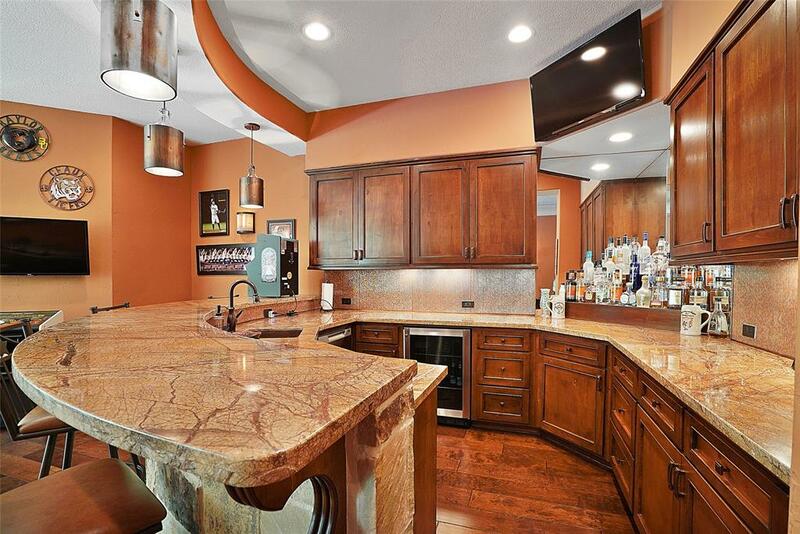 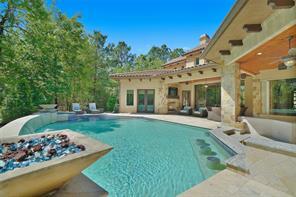 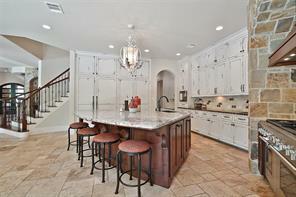 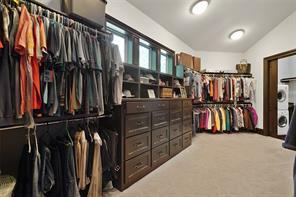 Chef's kitchen with large island, Thermador appliances, walk-in pantry with abundant storage. Main floor game & media room include wet bar, with all media equipment, Sonos home system, media furniture and pool table included. Master suite w/coffee bar/fridge & 2nd laundry area. 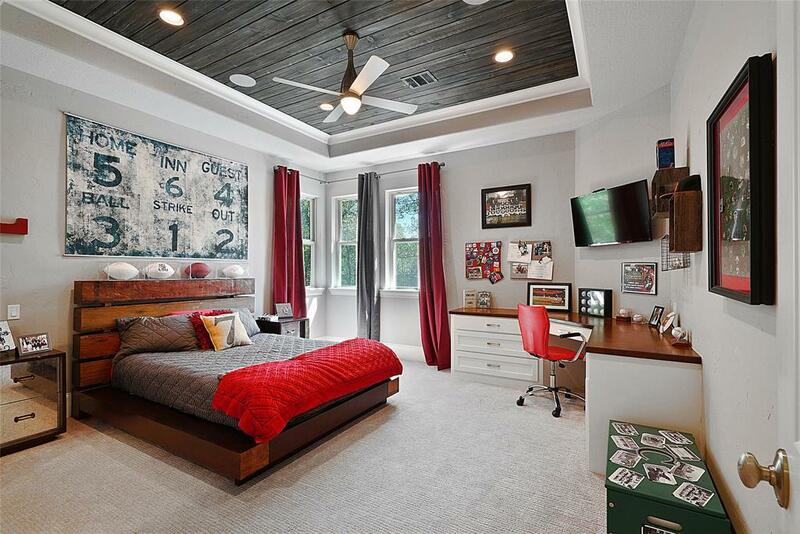 Two ensuite bedrooms and additional gameroom are up. 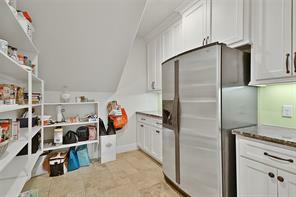 Detached casita with bath, fridge/microwave. Also included in sale are (4) tv's, one in hearth room, one in casita, one on back patio by pool and one in courtyard. 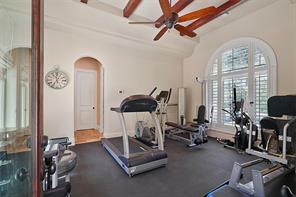 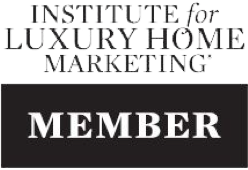 Must see to appreciate all the custom amenities!